Once a trained curator and historian for the federal government, now entrepreneur and restaurateur Paul Fortier has had quite the journey in Kingston with his company, Jessup Food and Heritage. With locations that include Renaissance Event Venue, Fort Henry Restaurants and his recent establishment of Sir John’s Public House, Jessup Food and Heritage is taking Kingston by storm. Envisioned to be a traditional and casual Scottish Pub on King Street, the hallmark of what would become Sir John’s Public House is that Fortier knew full well that his location had charm and was special: it was once the law office of Canada’s first prime minister, Sir John A. MacDonald. Walls bear the 18 lessons of the free masons. A hybrid of heritage sustainability and hospitality, Fortier has found his niche in downtown Kingston with a brilliant marketing tactic. Creating a personality out of Sir John’s Public House as though occupied by John A. MacDonald himself is any history buff’s dream come true. Fortier’s vision encompassed Sir John A’s era and fondness of drinks, with Scotch and whisky being amongst his favourites. 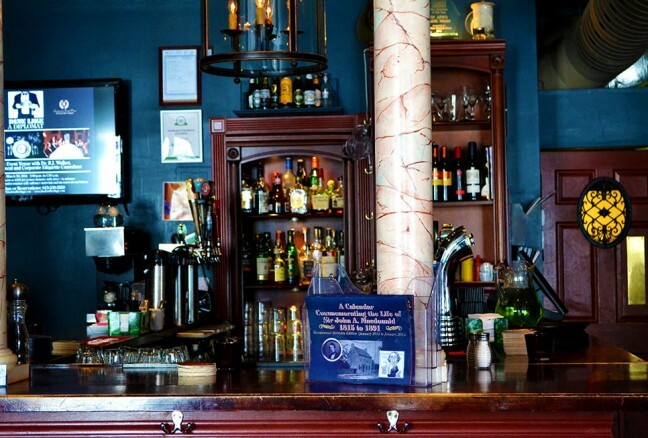 The pub reflects the style of the mid-nineteenth century yet still has a cozy, modern ambience. 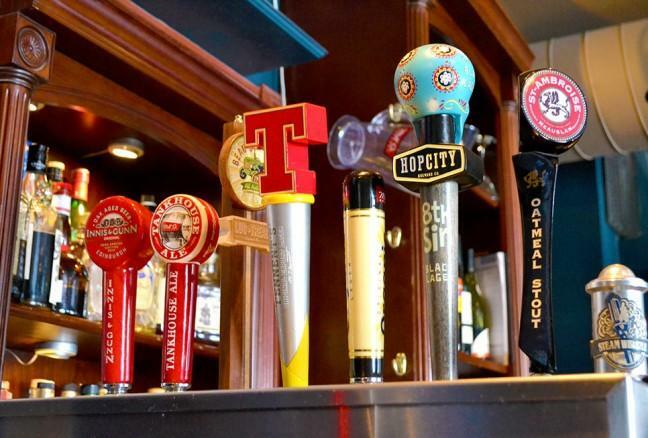 The drink menu boasts a vast selection of imported local beers and wines along with Kingston’s largest selection of Scottish single malts and blended whiskies. Fortier does have a few more tricks up his sleeve in hopes of cementing Sir John’s Pub as a unique experience unlike any other in town: their Sunday Caesars, with distinctive ingredients like gin and a dash of HP Sauce (or as Fortier would refer to it, ‘House of Parliament’ sauce) are in a class all their own. Local and imported beer on tap. Man behind the bar – Tim Archibald. Reasonably priced, the pub is noteworthy for its traditional Scottish and contemporary cuisine (deep fried haggis fritters anyone? 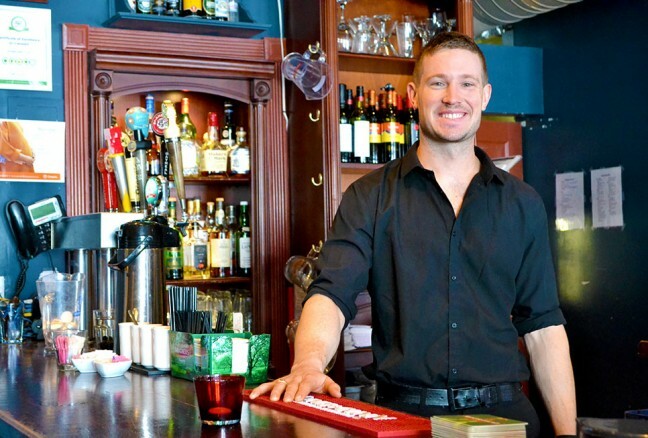 ), and with a fine selection of appetizers, starters, main courses, desserts, and lunch specials, Sir John’s Pub is welcoming, hospitable and friendly. 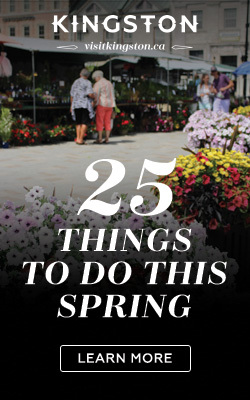 But most importantly, Sir John’s Pub is the perfect location to spend a few hours enjoying the surroundings or chatting with ye lads and lasses. Pop in on the weekend for their Sunday brunch and try their Scotch egg plate, or come in after work one night for a pint of original Innis & Gunn craft beer. For the adventurous, try a traditional haggis dinner plate complemented with some tatties and neeps, or indulge in a sinfully delicious deep fried mars bar for dessert. If the thought of haggis alarms you, you needn’t worry as Sir John’s also offers standard pub fare with weekly specials consisting of half-off wings and nachos on Tuesdays and Wednesdays respectively. Gather around the bar for a pint! 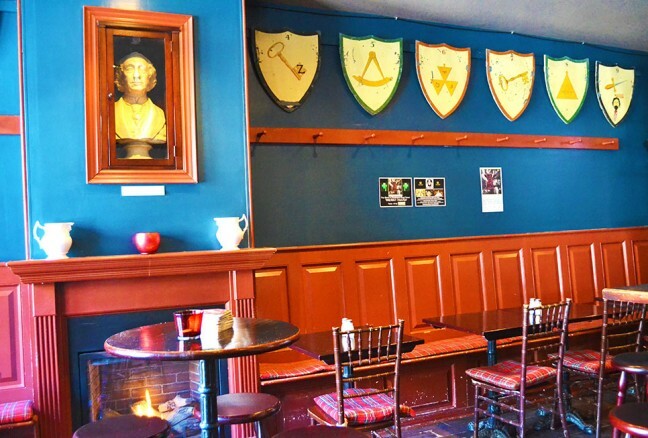 With such history, fine food, and a great variety of beverages available, there is still one more item that adds to this pub’s authenticity: the musical playlist encompasses a contemporary mix of traditional Celtic, Scottish, east coast and retro tunes that leave you longing for the homeland. Paul Fortier’s venture with food and his passion have come together meticulously, as Sir John’s Pub is a mesh of history with new age drinks and Scottish heritage in a pub affair. Take out a ten-dollar bill from your wallet, see a resemblance? 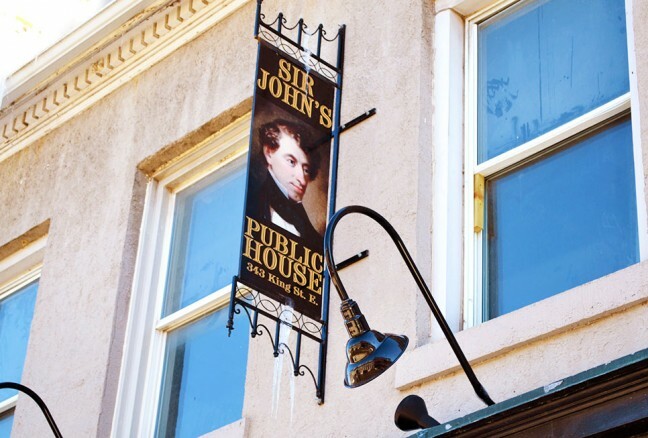 Be sure to stop by Sir John’s Public House at 343 King Street East, Kingston.